Board members at General Motors get paid $200,000 annually – and for what? Planning anticipates the inevitable, but if you are not contemplating the inevitable, then you will be surprised when it arrives. The major reason why companies are surprised is because they do not have the right key performance indicators (KPIs). The current series of quality issues that have resulted in the deaths of drivers of GM cars highlights a number of challenges in corporate culture and ethics for CEOs. What’s New in Business Management? 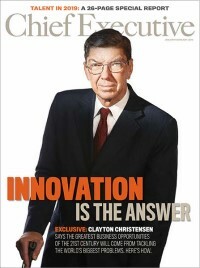 Every CEO should be developing a strategy to inculcate innovation in the fabric of their company so that they have a sustainable unique value proposition which gives them a competitive advantage by creating an emotional bond with their customers. The secret to life's success involves a plan - one that is reviewed and tweaked at regular intervals. The CEO’s Marketing Dilemma: What’s Our Niche? Every CEO must carefully compare their firms’ unique resources with specific customer’s changing requirements and select those that the organization can satisfy better than their competitors. When this is done well and promoted effectively your brand will “own” a position in the mind of a certain set of customers. No matter what market your company is in, once your value proposition ages, customers will move on to the next faster, better, or cheaper solution for their changing requirements. Look at the USPS and then examples of how mail is handled in other countries and you'll see the importance of reinventing your company to keep up with the times.